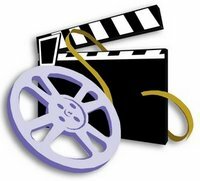 Wanna extract some particular part of some video or movie? Now you cna do it easily, videos can be easily split or cut by using this software named Chopper XP. It is very useful when you have less storage space and require a particular portion of video. Chopper XP is a Vob cutting program with a video display and a great interface. It is a DVD cutting program and has very fast speed of operation. You can scroll to a location and select mark in and out points and save the file as a Vob file. The program also lets you set any priority of extraction and displays the estimated time left for extraction. It let you extrat video files from any DVD and it preserve 100% quality as there is no recompression. Its a freeware software, available on internet. You can download it by clicking on the link given below.